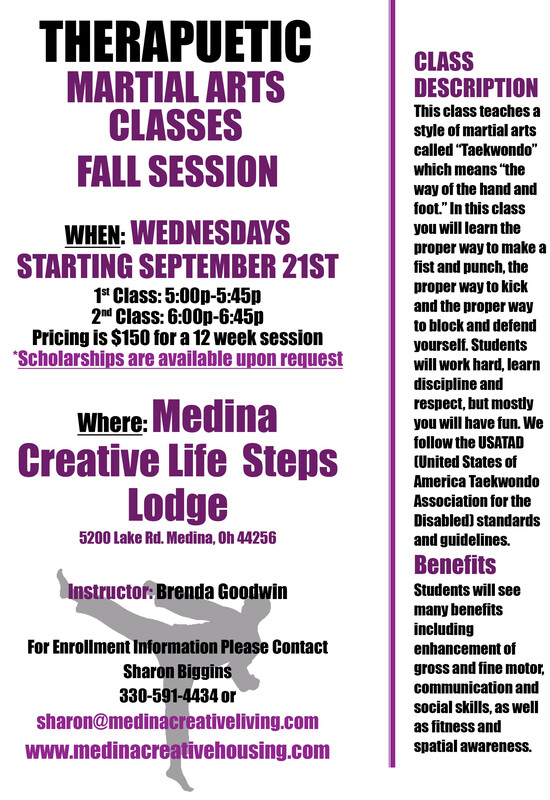 What is Medina Creative Arts? 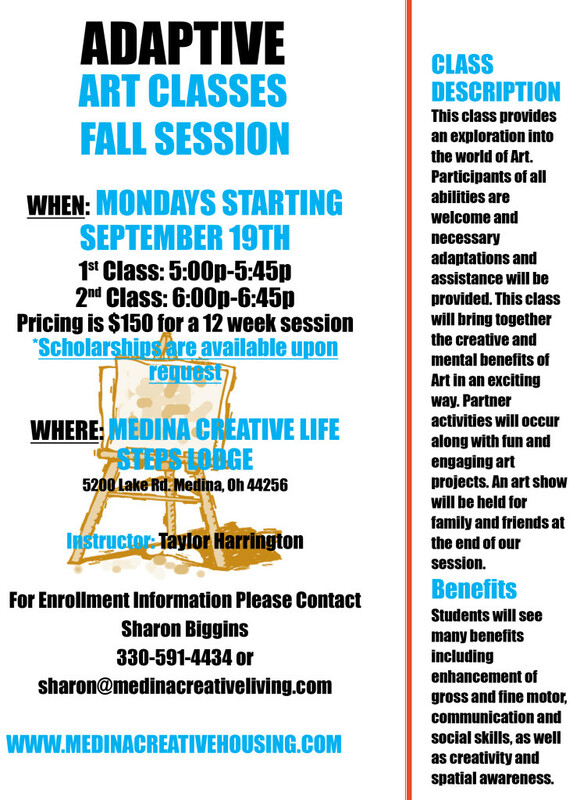 Medina Creative Arts is a new enrichment program open to the entire community. Our class offerings provide whole-body wellness and stimulate participant whole-body wellness. 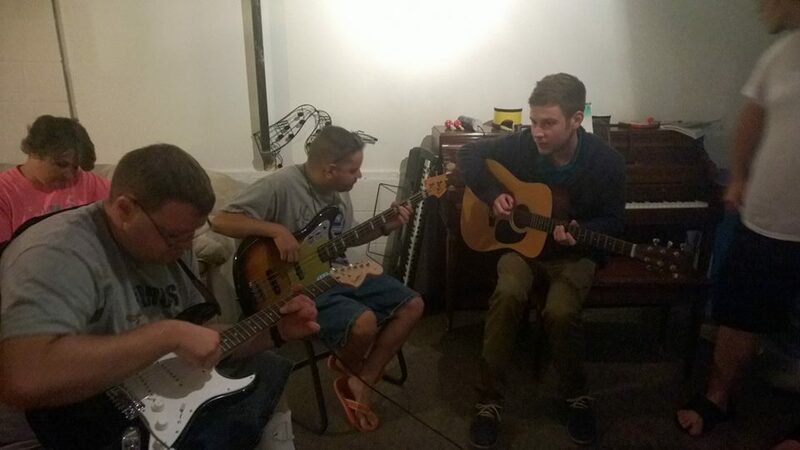 All of our instructors are degreed, seasoned professionals. 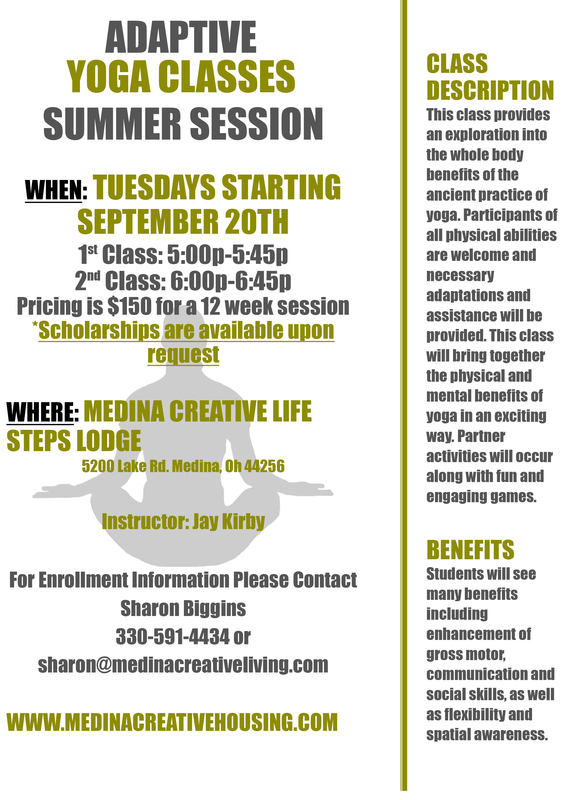 Four class sessions will be offered throughout the year. Additional classes will be added in a session based upon demand. 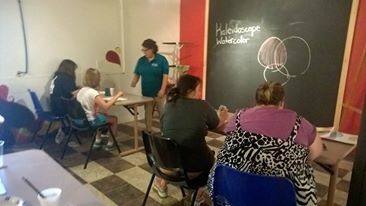 Classes are offered in 12 week sessions costing $150 ($12.50 per class). Each participant must commit to the entire session and no make-up lessons will be provided. The cost includes all materials, equipment, and props to enable you to enjoy your class to the fullest. 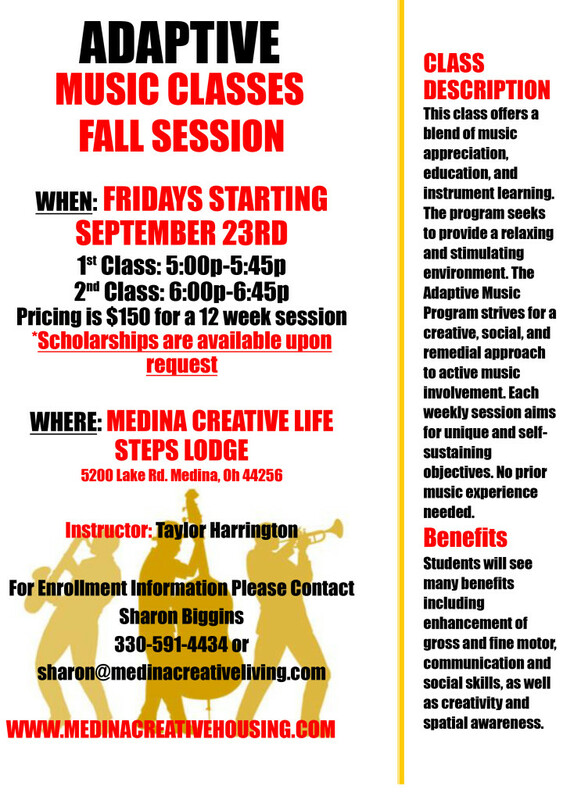 To find out more information on these or other programs contact Sharon Biggins at 330.591.4434 or Sharon@medinacreativeliving.com. 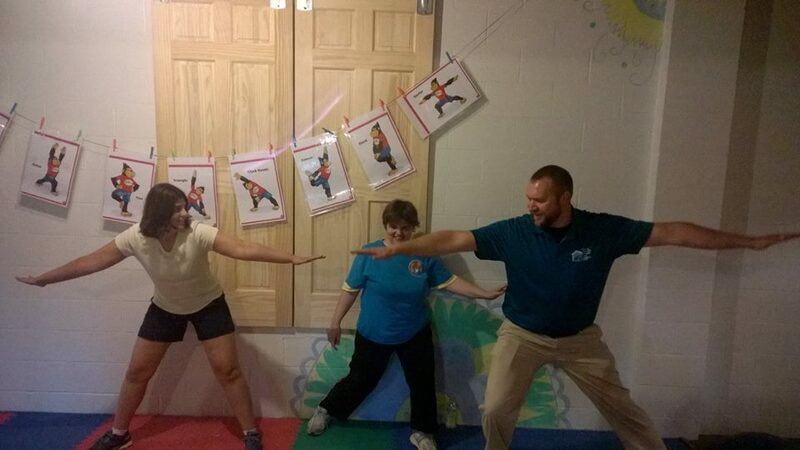 Adaptive Art—Mondays from 5 p.m. until 7 p.m.
Adaptive Yoga—Tuesdays from 5 p.m. until 7 p.m. 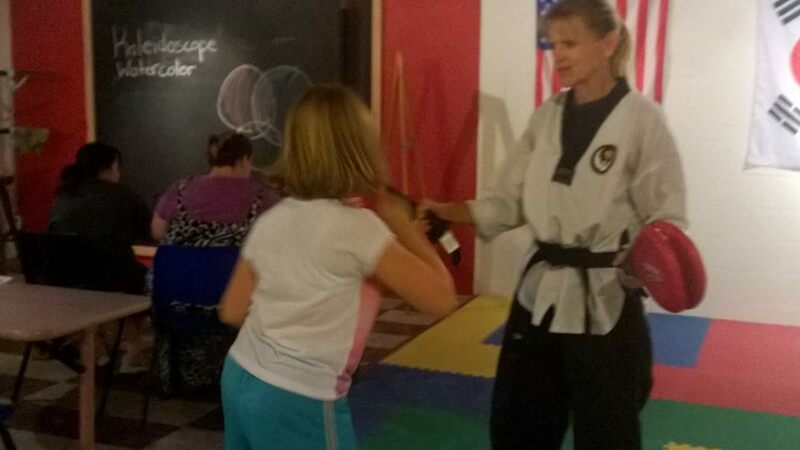 Therapeutic Martial Arts—Wednesday from 5 p.m. until 7 p.m.
Adaptive Music—Fridays from 5 p.m. until 7 p.m. Therapeutic Horseback Riding—Monday – Friday from 4 p.m. until 8 p.m. Scholarships provided for those with financial need. Click here for the 2016 Registration Packet & click here to view our Flyer. Come and join us for enriching and educational experiences!